Lock in a great price for Sense Beach House – rated 9 by recent guests! I liked the location of the hotel as it was near a lot of the shopping center, beach, and night events. As a boutique property, I was mostly satisfied. 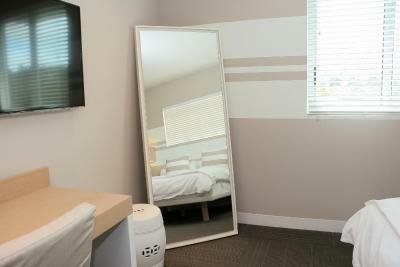 The rooms are comfortable, clean, private, and soundproof. The rooftop is wonderful. The bike and beach equipment rentals are super convenient, and the location is superb. Smaller “beach house” like property. Close to everything yet away from it all. Good free bikes to roam around. Great pool patio. The minimal rustic beach aesthetic felt really fresh. My room was spacious and bright. The staff were all lovely and attentive. I had an issue with the shower (my fault), and they sent a technician right away. The waiters were all very professional and friendly. The food at the restaurant is tasty, and the scene is buzzing with basic girls who love to brunch and drink mimosas + take photos of avocado toast. The wifi worked really well for my work purposes. Access to bikes + beach supplies are a plus. Love that the property provide free beach umbrella and chairs. Free glass of wine at 6PM every day- nice touch. Clean rooms. Cheapest service fee per day that I find in South Beach. Walkable distance to Story (nightclub) if you are into nightlife. I organized a bachelorette party with 20 girls, and this property was the ideal spot for all of us! We enjoyed the location (close to all the restaurants, bars, and beach), the cute "Instagram" style of the hotel and restaurant, and the fact that the rooms were spacious. Also, the beds were super comfy, and we all slept like babies! Overall, great bang for your buck, and if you're organizing a giant group like I was, make sure you check out this property! They handled our group like pros! Sense Beach House This rating is a reflection of how the property compares to the industry standard when it comes to price, facilities and services available. It's based on a self-evaluation by the property. Use this rating to help choose your stay! With an ideal central location in the SoFi district, this environmentally-friendly hotel features a rooftop pool. It is steps from the ocean and every room includes a 46-inch flat-screen TV. 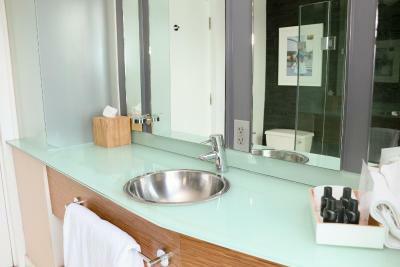 An iPod docking station and minibar are standard in each spacious room at the Sense Beach House. 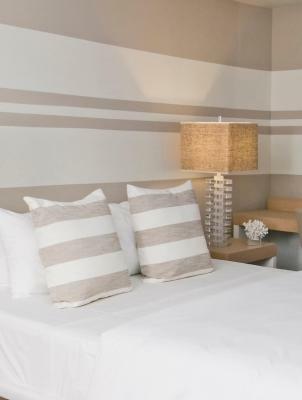 All modern rooms include free Wi-Fi, a full wall mural and floor-to-ceiling windows. Select rooms have a balcony with a city view. 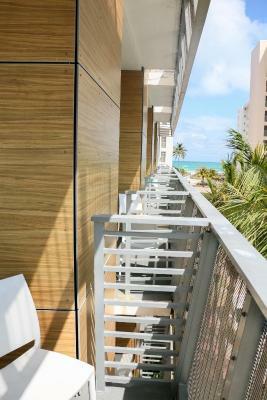 The contemporary Sense Beach House features panoramic city and partial ocean views from the rooftop terrace. 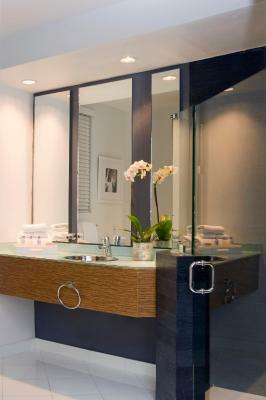 The 24-hour front desk also provides concierge services. The Local House is the on-site restaurant at the Sense Beach House. 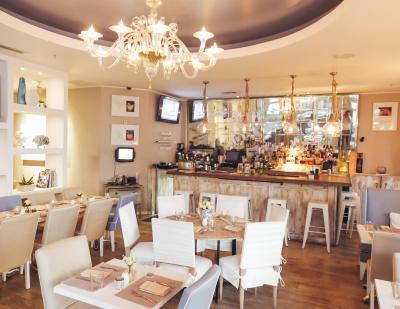 They serve an international tapas menu, brunch, and have a full service bar. 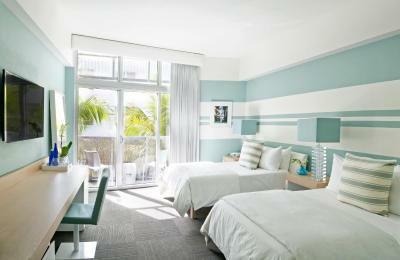 This Miami Beach hotel is steps from art galleries, boutique shopping and famous restaurants on Ocean Drive. The Bayshore Golf Course is within 3 miles of the property. When would you like to stay at Sense Beach House? 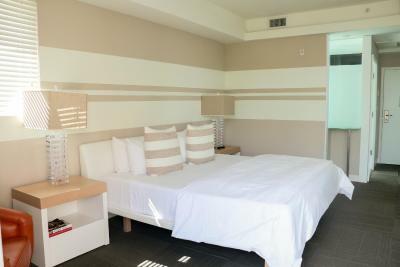 This balcony room features partial ocean view with a 46-inch flat-screen cable TV and iPod docking station. This room includes a 46-inch flat-screen cable TV and iPod docking station. 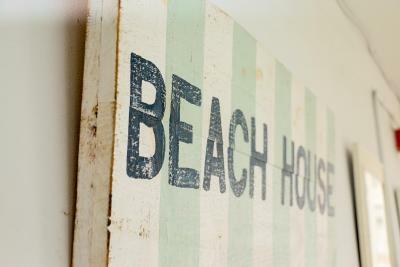 House Rules Sense Beach House takes special requests – add in the next step! 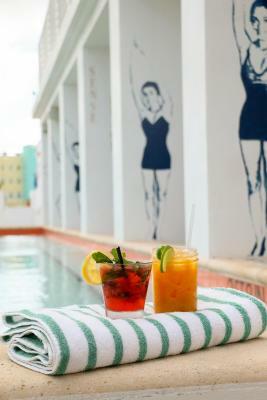 Sense Beach House accepts these cards and reserves the right to temporarily hold an amount prior to arrival. Host was very friendly and helpful. Nice cosy room at a great location. Free use of bicycle was a nice plus. 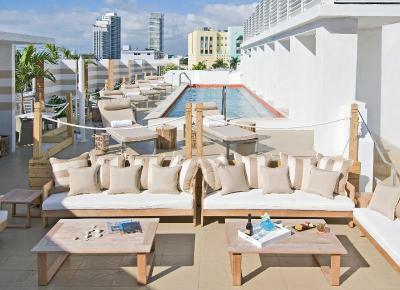 Fantastic place, Go and check the Rooftop Pool. Thanks a lot, Sense Beach House! Aircon was noisy; food at the restaurant could be improved. 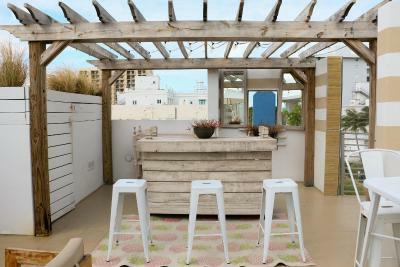 quiet, stylish and cozy in the heart of south beach for a good price. Nice vibes all over. We felt safe and relaxed even in a busy springbreak week. Great cocktails! The staff couldn't even try to pronounce my name right, after correcting them EVERY TIME. My room was only cleaned once (the first night) during our stay (3-night stay). When they did clean my room, they didn't leave us any towels. The bikes that they say are available to the guests were no where to be seen. The refrigerator in the hotel room didn't even work. There were mosquitoes in our hotel room after the first night when they cleaned our room. I'll definitely come back to South Beach Miami but won't be staying here. The lift is not great. The pool is quite small and shallow, we didn't really use it though. 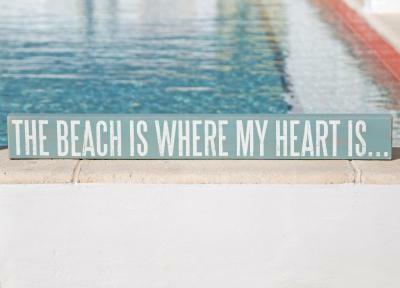 The price is expensive but so is all of South Beach. 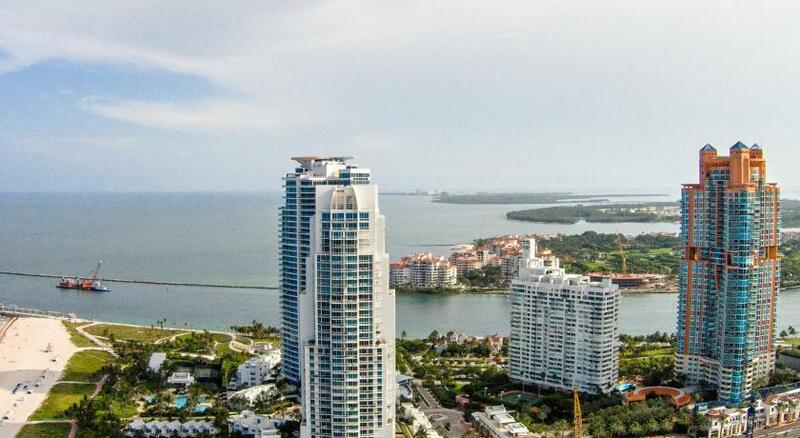 Incredible location, minutes from the hot spots of South Beach. Lovely staff. Free glass of wine each night you stay. Nice big rooms with decent AC and a reasonable balcony. Lovely views. Would deffo stay again. There is no coffee making in the room. When asking for one, they did not have it. Local House breakfast only opens up at 8h30am. No real solution for a jetlagged European traveler. The finishing/furniture in the room starts to be worn out and requires focus. There is a 18$/ day resort fee which is to pay for the roof-top. During our stay, there were constant works at this roof-top and parts blocked out. They should have waived the resort fee when this happens. Not all staff is fully fluent in English. Strange experience to not be able to make yourself understood in English in the US. Excellent beds. 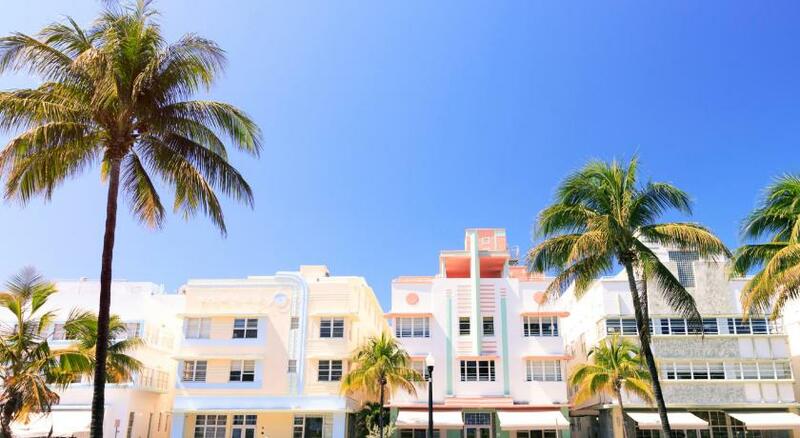 Great location near south beach without the noise and inconvenience of the actual ocean drive. Convenient valet parking service. No breakfast before 08:30 am and quite expensive. Nice room and rooftop, good and quiet location. Tasty food at the restaurant. This is certainly no resort, though. Staff made a lot of small mistakes, the complimentary breakfast was subpar (for a resort, if that’s what they label themselves as), and room service might wake you up earlier than expected. 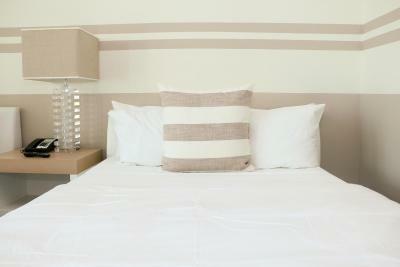 All are minor, but not problems you should face at a resort priced property. A/c was difficult to regulate and the room was often freezing cold. The room was large comfortable and stylish. Staff were friendly and helpful. Beach towels and beach chairs and the complimentary glass of wine were a definite plus. Not a pleasant scent on the floors. Bathroom supplies are basic. Great staff, best location, fantastic food!